If your company is spinning its wheels trying to motivate employees by throwing money and special perks at them, you have the wrong employees. What your team needs is Mind Realignment. 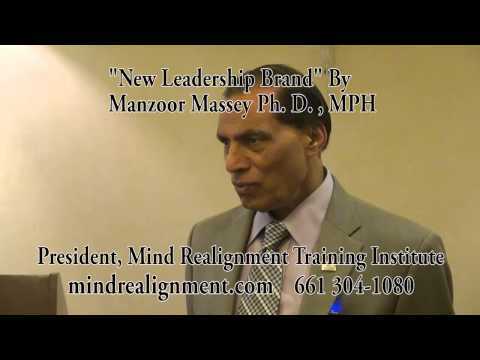 Mind Realignment Training Seminars for Personal and Business Excellence are based on the philosophy: “Why just become anybody when you can become someone special"
Mind Realignment seminars are designed to teach leaders to work smarter not harder. Your leadership team and staff will gain a new perspective on achieving personal growth and excellence in business. 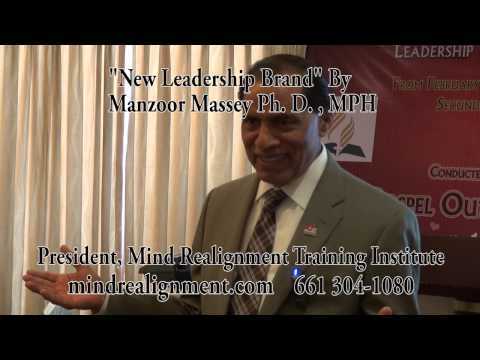 If you want your leadership team and staff to take your company to the next level of excellence, call today (661) 304-1080 and schedule a Mind Realignment Training seminar for your business. Dr. Massey holds a Bachelor’s degree in two areas, three Master’s degrees and a doctorate. He served the U.S. government for over twenty-five years in the field of public health. He has held executive positions in hospitals and various business enterprises and has provided leadership training and strategic planning for both small and large organizations with over 2000 employees and hundreds of millions in budget. He has authored two books on "Mind Realignment for Excellence - Naked Secrets for Building a Better You." It is a recipe to reinvent every aspect of your life - personal, professional or family life. Please read the reviews below.